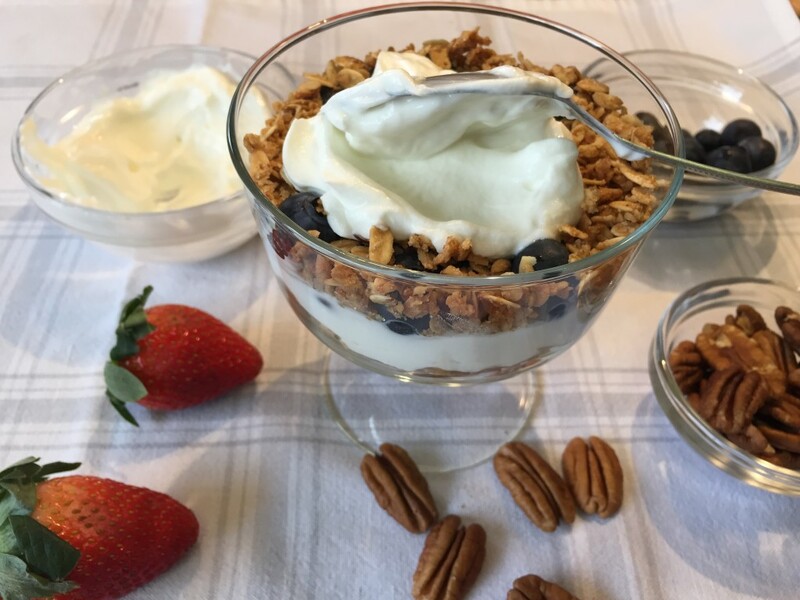 Looking for a great way to add a little more energy and nutrition into your breakfast? 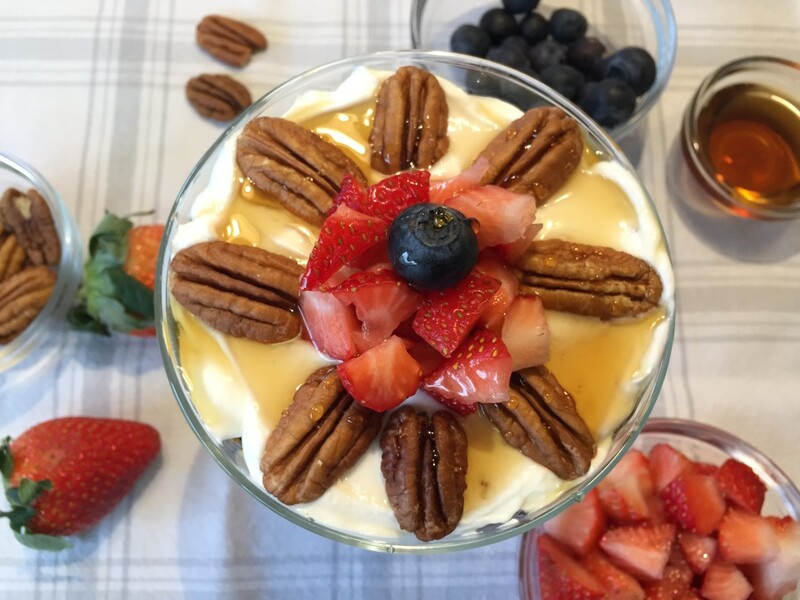 Try this amazing parfait recipe and get ready to start the day off with a bang! 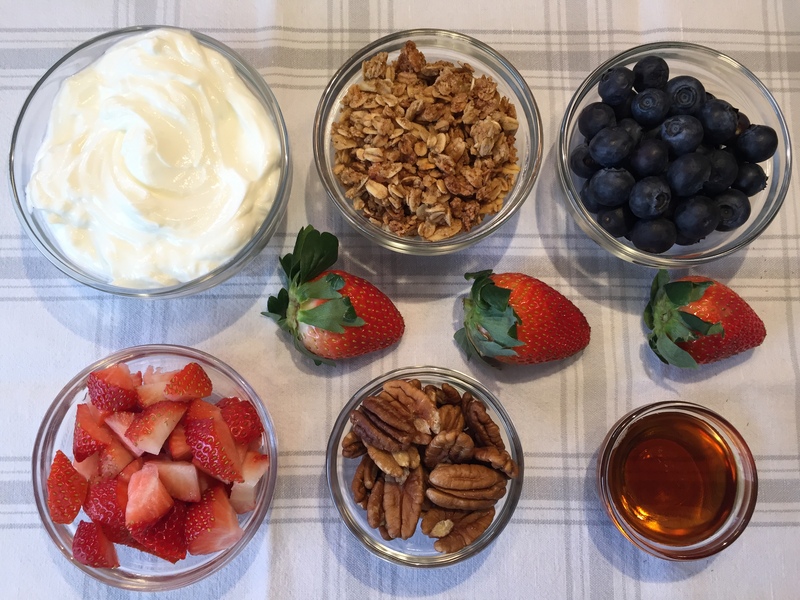 Start by adding a layer of granola and yogurt into a cup, then add some berries. Repeat this once or twice and top it off with some nuts and a drizzle of maple syrup. 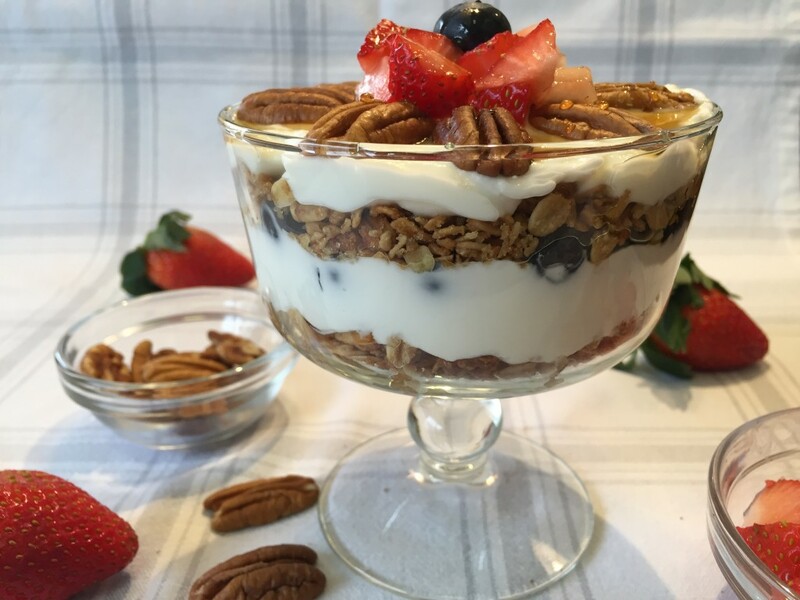 Perfect for breakfast or post-workout snack. Enjoy!